The France edition of our Boyden Global Market Outlook, Talent-Led Growth, looks at talent strategy as a key component of business strategy, focuses on the healthcare & life sciences sector in France, both from a global and local perspective. Denis Sesboüé, a Boyden Partner in Paris, shares his insights on hiring the right leadership talent in France. The missing piece in growth strategy – where is the talent, what does it look like and how much does it cost? Welcome to Boyden’s Global Market Outlook on talent-led growth in healthcare and life sciences. This series of country reports addresses our clients’ overriding concerns about talent: where it is, what it looks like and how much it costs. From Boyden’s perspective, ’talent-led growth’ is the result of a combined business and talent strategy. Plans for taking products or services into new markets, or expanding in existing ones, involve knowing where the capabilities are and understanding talent mobility, including local remuneration. While governments foster greater access to healthcare, those in the industry strive to deliver it. Our role, as a leading global executive search firm, is to help our clients discover the right leadership to sustain operations and achieve growth. Please note that all data is indicative only and is not intended for use without consultation. Please contact Boyden if you have any questions or would like to discuss specific requirements. Looking for more data? Download a copy of the Talent-Led Growth in Healthcare & Life Sciences: Data Digest by clicking here. Global developments in personalised therapies, breakthroughs in oncology and the management of autoimmune diseases are accelerating transformation in healthcare & life sciences. However, against a backdrop of modest GDP growth worldwide, government spending on healthcare is forecast to increase by just 1% globally between 2014 and 2018, compared with 2008 and 2013. As a consequence, pressures on healthcare infrastructure and cost containment are driving consolidation and collaborative partnerships, shifts in financial risk, and changes in the global supply chain. Innovation in healthcare IT (HIT) and big data, together with integrated delivery and more knowledgeable patients, are supporting better health outcomes. China is tier 1, accounting for nearly half of pharmerging market growth and number two in the world pharma rankings 2015 (including formulated traditional Chinese medicines). Brazil, India and Russia make up tier 2, with Brazil’s and India’s growth forecast at 12.7% and 12.5% (CAGR) respectively and Russia’s at 10.1% (all CAGR 2012-2017). 7 countries in Africa, Central & Eastern Europe, the Middle East and South America, along with Indonesia, Pakistan and Vietnam make up tier 3 (per capita pharma sales). These growth opportunities are spurring organisations to target global populations with unmet needs. Challenges in healthcare economics are being met with business model innovation, supporting the industry in its commercial and humanitarian quest: universal healthcare coverage. From a talent perspective, leaders of big pharma and healthcare organisations are under pressure to increase transformation capabilities to contain costs, comply with growing regulation, further innovation and move from volume-based to value-based payment models. As business leaders recalibrate regional growth prospects, the top three concerns among global CEOs are ‘over-regulation, geopolitical uncertainty and exchange rate volatility’1. Against this backdrop, access to ‘the right talent at the right time in the right place’ is a mantra among growth organisations. These interconnections are becoming increasingly complex as borders dissolve for those seeking the best career opportunities, and new geographic hubs and centres of scientific excellence emerge. Pharmerging markets, notably China, Brazil, India and Russia, as well as others in Eastern Europe and Latin America, are creating new challenges and opportunities. In 2014, pharma markets in Brazil and China grew by 12.6% and 11.6% respectively, compared to average market growth of 2.4% in Europe2. The US market grew by 12.5%3 and by 2014 the US had already overtaken Europe in the creation of new chemical or biological entities4. These geographic shifts create cross-border opportunities for high-performing leaders, scientists and academics keen to flex their muscles in a global environment that rewards combined scientific and commercial capabilities. For health leaders, they create much needed and readily deployed people in a volatile market for talent. The migration of health workers has therefore become a formal priority for knowledge and understanding at the World Health Organisation5. Global migration is also a priority for organisations creating leadership pipelines and needing to identify locations where new skill sets are emerging, the hubs around which they will coalesce, and the people with the global fluency and flexibility to drive innovation in a more fluid market. 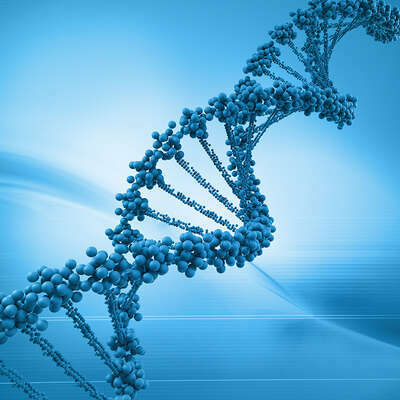 Changes in the flow of people and money connected to healthcare & life sciences have significant implications for governments pressed to explore new political, economic and social models. From a purely economic perspective, in 2012 the global pharma industry employed 4.4 million6, with 3 million in Asia, compared to 750,000 in Europe and 270,000 in North America. Global employee remuneration was $91.3 billion, an increase of 41.9% over six years. In 2012, the global pharma industry had increased its contribution to global GDP value-add by 6%, reaching a total of $437 billion7. Governments are therefore monitoring the contribution of healthcare & life sciences to their country’s GDP, with broader hopes in Europe that the pharma industry can strengthen economic recovery and ensure future competitiveness. To summarise, advances in science, new commercial models and shifts in global opportunities are driving major change for people, organisations, governments and global competition. Experts in retained search specialising in healthcare & life sciences find themselves consistently advising organisations on where the talent is, what it looks like, and how they can attract it. Healthcare coverage in France is universal, with all residents entitled to public healthcare funded through statutory health insurance from non-competitive social health insurance funds. The market comprises private care, fee-based physicians, private for-profit hospitals covering surgical procedures, private non-profit hospitals and public hospitals. Europe continues to struggle with chronic diseases, an aging workforce, and the impact of austerity measures in response to the global recession. The forecast for average annual growth on health spending for 2014-2018 is lowest in Western Europe at 2.5%, which is just under half that in North America, and under a third of annualised growth forecast for Asia, at 8.3%. In pharma spending, the disparity in annual average growth 2014-2018 is more marked, with Western Europe at 2.25%, North America at 6.4% and Asia at 9.9%. As a net exporter of pharma products – exporting primarily to Belgium, Germany and the United States – France’s pharma industry is increasingly vulnerable. 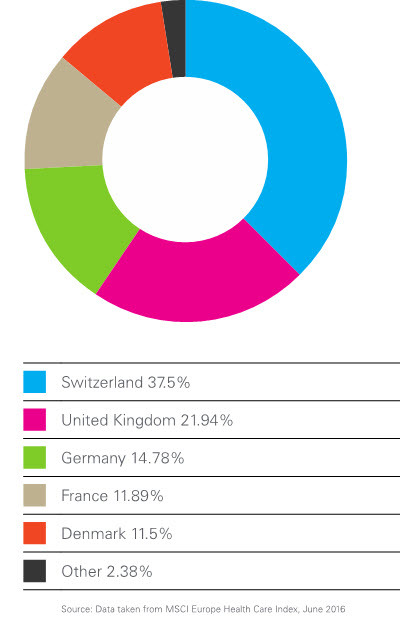 While France’s trade balance is nearly $11 billion, Germany’s is $30 billion and Switzerland’s $35 billion. In this tough environment, Les Entreprises du Médicament (LEEM)10 has raised serious concerns about the position of France’s pharmaceutical market, both domestically and internationally. The group says economic data for 2015 reveal the impact of the global economic recession on the industry, asserting that the whole market in France – both domestic and export – is in recession for the first time. LEEM therefore calls for a revival of dialogue between the State and the industry through the Strategic Council of Health Industries (CSIS) and the Sectoral Strategic Committee (CSF). Priority areas for discussion include a drop in pharma trade from Eur9 billion in 2013 to Eur6 billion in 2014, due to an increase in production among emerging markets and France’s less attractive environment for the development of biologics. This latter issue is reflected in figures that show the US overtook Europe in the number of new chemical or biological entities between 1995 and 2014, with 83 in the US, compared with 73 in Europe, 2010- 2014. The British Medical Journal conducted research into the factors affecting site selection for clinical trials in Europe in 2013. Results from the Survey of Attitudes towards Trial sites in Europe (the SAT-EU Study) show that France was not in the top three countries for any of the key criteria in site selection: overall trial site desirability; accessibility and transparency of all information required to run clinical trials; and predictability and speed of ethics committees. Countries seen as the most favourable were Germany, the Netherlands, Belgium and the UK, with slight variations in country preferences for the key criteria11. Implications for the French economy include concerns over employment in the pharma industry, which fell below the symbolic 100,000 level to 99,453 in 2013, when 27 organisations announced plans for early retirement or voluntary redundancies. In December 2015, LEEM’s employment barometer confirmed a trend of declining enrolment in the pharmaceutical industry. The twin challenges of tax and regulation continue to dominate, despite the need for new skills profiles and capabilities. In the face of competition, growth in the R&D workforce is muted: In 15 years, the R&D workforce has grown by 10%, compared with 20% growth in the sales team12. Employment in R&D remains fragile, due to its concentration in a small number of organisations and the trend towards transferring R&D to more attractive countries. ‘More attractive’ means countries offering a more favourable regulatory environment, better market access and profitability that is not stifled by tax. This is mostly Western Europe, but with the increasing participation of pharmerging markets,13 notably China, Brazil, India and Russia in production of non-branded generics, a global perspective is imperative, together with the need for more globally fluent leadership talent. Global competition therefore remains a major concern, both in terms of the business environment and also scientific areas such as clinical research, investment in manufacturing, and the importance of providing the population with early access to innovative therapies; the insurance contributions paid by French citizens create high expectations in the delivery of cutting edge treatments. However, spending on medicines per capita will contract in France due to policies to control spending growth, and between 2014 and 2018 will reach annualised growth of only 0.3%. The government has introduced pro-generic policies and incentives to encourage doctors and pharmacists to substitute generics for branded products and boost the development of generic markets. With such complex and challenging global and domestic environments, LEEM calls for a dialogue around access to innovation, new funding strategies and easier comprehension of the evaluation process for drug development. Alongside France’s national motto – fraternité, egalité and liberté – LEEM asserts the need for visibilité, lisibilité et predictibilité – visibility, clarity and predictability. It is essential for the French population and those saving lives and creating better health outcomes that this dialogue gains traction and support from all those involved in the pharmaceutical and healthcare industries. This Q&A with Denis Sesboüé, a Boyden Partner in Paris, focuses on the issues that are most often discussed in a life sciences senior executive search. If you would like more detail, or have a specific question, please contact him directly. How important is it to consider the geographic location of a company when recruiting in France? Unlike Germany, France is a very centralised country where most companies – and also candidates – are located in Paris or big cities such as Lille, Lyon and Marseille. So, when we have a search for a company outside these main cities, it is very difficult to find good candidates. Mobility is also a challenge, because the candidate’s partner will need to move jobs and it is difficult to uproot children in the middle of their education. What level has the Internet of Things reached in France, regarding developments in the life sciences sector? 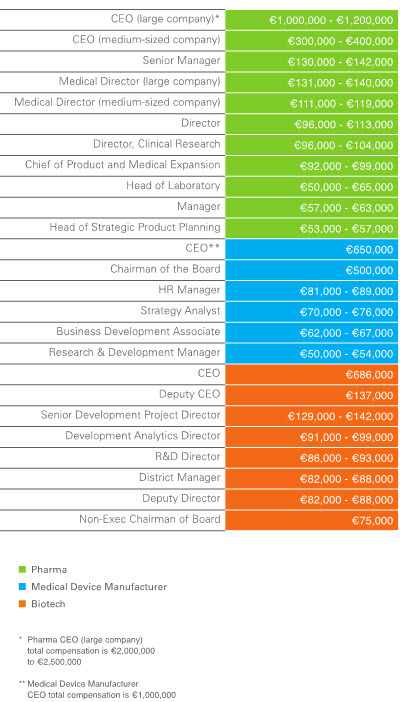 While expert commentators expect the eHealth market to grow in France, there is no significant impact or change in the executive profiles life sciences enterprises are currently looking for in their recruitment. However, it is important to understand how the future might develop. A recent study by strategy consultant Roland Berger, E-Health and the New Commercial Model, suggests that in France, the eHealth market should grow from €2.4bn in 2012 to €3bn in 2017. Then we will start to see the effect, potentially, of new policies, more integrated systems and therefore different skills profiles. When hiring in France, is there a preference to focus on French or French-speaking talent pools? No, the top criterion for the life sciences sector is not nationality, but technical expertise and how well a candidate masters the position’s required competencies. For example, when a big corporation wants to develop its position in oncology, the only thing that matters is an expert’s competency and not their nationality. Furthermore, even in French companies in France, English is emerging as the day-to-day working language. What role does remuneration play in securing the preferred candidate? Compensation is a significant factor but not the primary or unique driver. It is important for the new position to offer at least the same salary as the previous one, with comparable associated elements. However, the best candidates pay more attention to the environment they will find at the new company, the probability of getting along with the governing body and real career growth opportunities. How can you be successful in helping your clients secure the right people in a high-risk, high-reward environment? To secure a candidate, the key words in France are ‘discussion’ and ‘transparency’. The client must be totally transparent about the exact situation the candidate will find on joining the new firm, in terms of strengths, weaknesses, challenges and so on. The client also needs to stay in close contact during the period between accepting and starting the new position, which in France can take at least three months. In a strong search partnership the client can rely, either partially or totally, on the search consultant to cover these two areas with the candidate, and make sure he or she is called upon to attend meetings regularly to become familiar with the new company, position and office environment, and to get a sense of their new working life. What does being a search consultant mean to you personally? It means being a ‘trusted advisor’, a mentor to both the client and the candidate. The client knows we can be trusted to understand which profile would be most suited to their needs and also that we will go in search of the best candidates in the market. For the candidate, he or she knows we will explain the true environment of the position without exaggeration. In the client’s shoes, what is the most important question you can ask a candidate? The most important thing is to understand the underlying forces that motivate the candidate in this process: What are they trying to leave behind and what are they hoping to find ahead, in order to make sure they are not disappointed later on. Understanding the motivation – more than the technical expertise or the adequacy of the candidate’s personality for the position – is of prime importance. What is the most important question a client can ask a search consultant? It’s easy to measure technical skills with the appropriate tools, such as assessment tests and so on. According to my opinion and long experience, the only way to discover the real motivation of a candidate is through an intimate and intelligent interview. During this exchange, a seasoned consultant is able to discover the deeper reasons that drive a candidate. Healthcare and life sciences is one of the most diverse sectors for salaries and remuneration packages; local, regional and global market knowledge, together with expertise in negotiation are two of the key decision-drivers in choosing an executive search consultant. Acquiring the right leader and negotiating the right remuneration package involves synthesising numerous elements, such as the political, fiscal and regulatory environments, sub-sector trends, organisation type, medium- and long-term strategic goals, target populations, ownership structure and funding, specific location, emerging market participation, competitive developments and shifts in the global talent pool. Evolution in the supply chain has been one of the biggest drivers of change in both hiring and remuneration, together with consolidation and the need for global fluency. Regional shifts in R&D, manufacturing of generics, health economics and new blends of academic and commercial skill sets are changing the global landscape. In a tough economic climate, clients tell us that they value Boyden’s ability to restrain escalating salary expectations. Across all of the sub-sectors in this industry, our focus on how a role impacts an individual’s career is a crucial area for discussion with both clients and candidates. In the latter group, personal drivers are extremely strong, and we spend a lot of time with preferred candidates exploring these in the context of future change and career impact. Boyden covers C-suite and senior leadership positions, together with unusual roles or those for which there may only be a few appropriate candidates, right down to situations where we find ourselves saying, “There are only two people in the market who could do that role. Let me get them to the table for you”. This chart provides indicative figures only, based on 2015 data, and is not designed for use without consultation. Please contact Denis Sesboüé to discuss specific requirements. Boyden is a leading executive search firm dedicated to globally-oriented growth and emerging organisations in the consumer, industrial, financial services, healthcare & life sciences and technology industries. Our executive search consultants excel in global teaming to secure the right talent in the right locations to help clients expand into growth markets. Boyden’s healthcare & life sciences expertise extends across 36 markets in Asia/Pacific, EMEA, Latin America and North America. 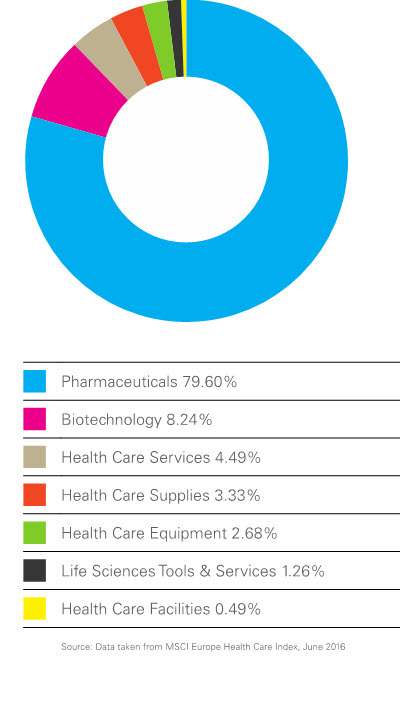 Almost half of our global healthcare assignments are for pharma and biotech clients. We also have a strong track record in medical equipment, devices & supplies and healthcare providers, as well as accidental medical insurance, diagnostic devices & instruments, health information products & services and animal health. We also conduct senior-level assignments in distribution and contract manufacturing & product packaging services. Boyden’s experts in healthcare & life sciences have typically held leadership roles within their areas of expertise. They therefore provide candidates with a peer-to-peer experience, exploring our client’s objectives for the role, growth plans and risks, in light of the candidate’s aspirations, leadership and technical capabilities. For further information on Boyden’s global healthcare capabilities, please visit our website or contact us directly. A Partner in the Boyden Paris office, Denis is a leader in the Industrial and Healthcare & Life Sciences Practice Groups. For over 25 years, Denis has specialised in executive search and human resources. He is well-regarded for his expertise in client service, board-level engagements, and cross-border assignments. His clients are both French and international organisations, for whom he conducts searches in France, across Europe, and in North Africa. He also has over a decade of experience as a Vice President of HR in a variety of corporate markets. His areas of expertise include industrial markets, industrial support services and secretariats, infrastructure, energy and utilities, pharmaceuticals, and not-for profit. He has covered a wide variety of functions, most notably general management, operations, human resources, and sales & marketing. Denis joined Boyden after working with another top-tier search organisation, where he was a member of its worldwide Governing Council. Denis holds a Master of Science in biochemical engineering from ENSAIA Nancy, and a master’s degree in philosophy from Paris University. He is a native French speaker, fluent in English, with a working knowledge of Russian. Kerstin Roubin has been working in the executive search business for about two decades. Her broad spectrum of clients includes multinational blue-chip companies, medium-sized and privately-owned businesses. She handles complex, cross-border executive search assignments for C-suite and high-level general management positions, as well as a variety of corporate functions and specialised roles. Kerstin is highly skilled in bringing top-level candidates to clients in specialised markets such as consumer, pharmaceutical, medical technology and biotechnology, and also suppliers in the healthcare and FMCG industry. Kerstin uses her significant industry experience and global network capabilities to deliver the best possible candidates for her clients. Kerstin holds a university degree in economics and business, with a primary focus on human resources & organisational planning. She is a founding partner of Boyden Global Executive Search in Austria, Boyden’s regional hub for clients expanding in Central and South Eastern Europe. As Global Practice Group Leader for Healthcare & Life Sciences, Kerstin drives business growth through a number of best practice and client relationship initiatives. Clients particularly value cross-practice teaming, for which Kerstin has developed a structured approach with other sector leaders to find, for example, consumer-driven candidates for pharmaceutical clients or technology leaders for digital health companies. 8 Index is based on the MSCI Global Investable Market Indexes (GIMI) Methodology. See www.msci.com. The Brazil edition of our Boyden Global Market Outlook, Talent-Led Growth, addressing concerns about talent in specific countries, focuses on the healthcare and life sciences industry in Brazil. It includes a Q&A with Alexandre Sabbag, a Boyden Partner in São Paulo, on the issues most often discussed in a life sciences senior executive search.